Beaches are easy to come by on Nantucket, but finding one suited for running is a little more challenging. The north shore is typically more protected, while the open ocean shore to the south has more surf and an inconsistent coastline. For those who enjoy sand running, the best choice is Nantucket Beach, a former defense site at the Tom Nevers Naval Facility that was used for training exercises during WWII. 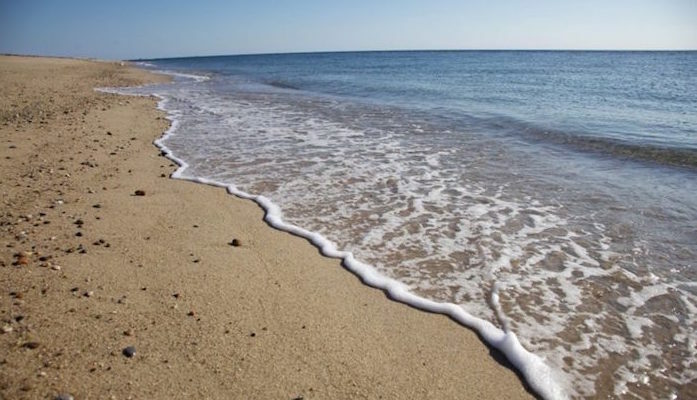 This is one of the few Nantucket beaches with no steep inclines, and at over a mile long, it’s a good stretch to fit in a few miles of jogging or intervals. Like many of our routes, this is a Nantucket Conservation Foundation property, so it’s free and open to the public. Further than 1 mile gets onto private property. The best way to access the beach is to follow Milestone Road 2.6 miles from the rotary and turn right onto Russell’s Way. Follow Russell’s Way 1.3 miles to its junction with New South Road. There are several areas to park along the road. Beach access is off the end of South Road near Tom Nevers field.